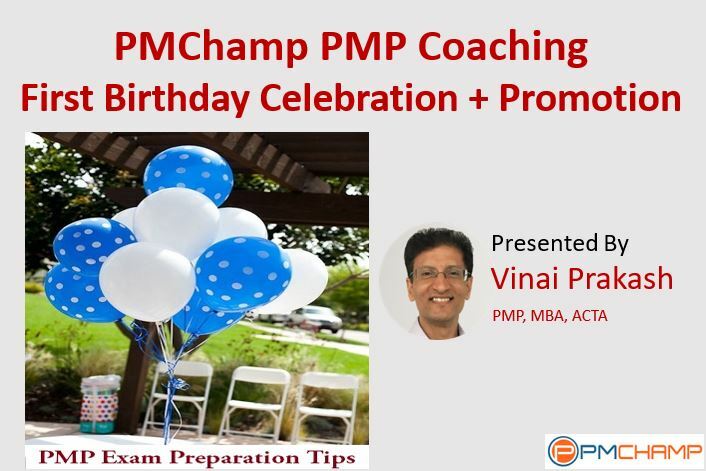 I am very pleased to announce that PMChamp Online PMP Exam Preparation Coaching Program is celebrating its First Birthday today (August 2012). We are very glad about achieving this milestone, and it would not have been possible without your active support, encouragement and feedback. In this year, we enrolled over 500 students from over 59 countries, and the number is growing each day, thanks to your generous support… Close to 400 of the PMChamp students have already passed their PMP Exam. Do watch, and share your comments here and on Facebook. We thank you all from the bottom our our heart for helping us achieve this milestone.